This series of mindfulness meditations will help you to appreciate life in the present moment as you connect with your senses, thoughts and feelings. 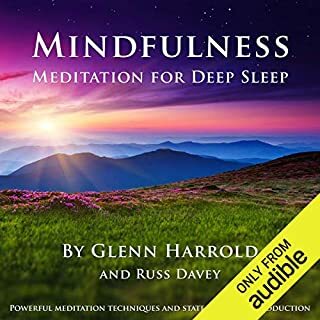 This is the fourth title in the series and has been designed to help you completely switch off and connect with a feeling of presence and peace as you fall asleep. Mindfulness techniques can help you to still your mind and clear away any worries or anxieties, allowing you to switch off and fall into a deep, peaceful sleep every night. I have several of Glenn Harold's meditations, and would recommend him to anyone! A very soothing voice, and the best meditations I have. Can you remember what it was like to sleep as a child - waking up completely refreshed and rested? Adults tend to get stuck in their own particular way of getting to sleep. This will help you break those habits with a little help from your imagination. Only listened a few times so far, but each time I've gone to sleep which was why I was using these, I recommend this cd to anyone. 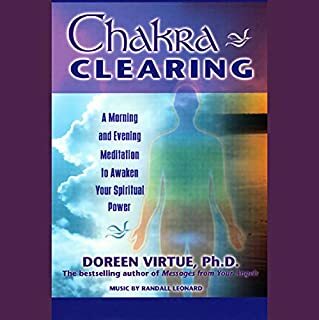 Narrated by: Doreen Virtue Ph.D.
On this meditative audio program, Doreen Virtue, Ph.D., guides you through spirit releasement and angelic healing therapy, which clears your energy chakra centers and activates your inborn healing and psychic power. Doreen has a relaxing voice and you can easily drift off and meditate without distraction, unlike other CDs I've tried. She makes it easy to clear your mind and relax, I'd recommend this to anyone.